Dr. Hofeldt is one of few Wave contact lens providers who underwent a rigorous training program in order to dispense Wave lenses. Because each lens is customized for your needs, providing wave contact lenses requires a maintained, high level of proficiency. Each Wave design office uses a special digital mapping camera to obtain the topographical image of your cornea for your custom Wave lenses. Once the design is finalized, exact duplicates of your lens are always available. 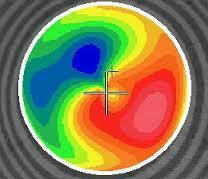 All forms of vison correction attempt to sharpen the focus on the back your eye (the retina). Orthokeratology (orthok) is a method to change the curvature or shape of the cornea (the clear tissue at the front of your eye) to sharpen how light is focused. The sharper the focus the better the vision. Glasses or conventional contact lenses are worn during your waking hours, But you only wear your orthok lenses when you sleep. During the day your vision is sharp and clear with no lenses or glasses! Simply put, Wave offers a higher level of Ortho Keratology design. 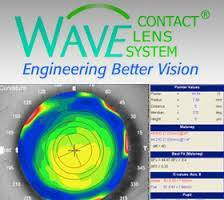 No other ortho k lens offers Wave’s design platform feature set. Every eye is different and every lens should be as well, especially ortho k lenses. And they are approved for overnight wear. For more on specialty contact lenses in Kent, Washington click here.